Choose one of the day tour plan from our 4 best itineraries for Mount Everest day tour. The best tour plan to view closer Mount Everest is to choose day Helicopter tour. Join our best Mount Everest Day Tour from Kathmandu Nepal. There are three different day tour plan to see Mount Everest and other Himalayan range. Nagarkot is one of the place to see far view of Mount Everest and other Himalayan range. 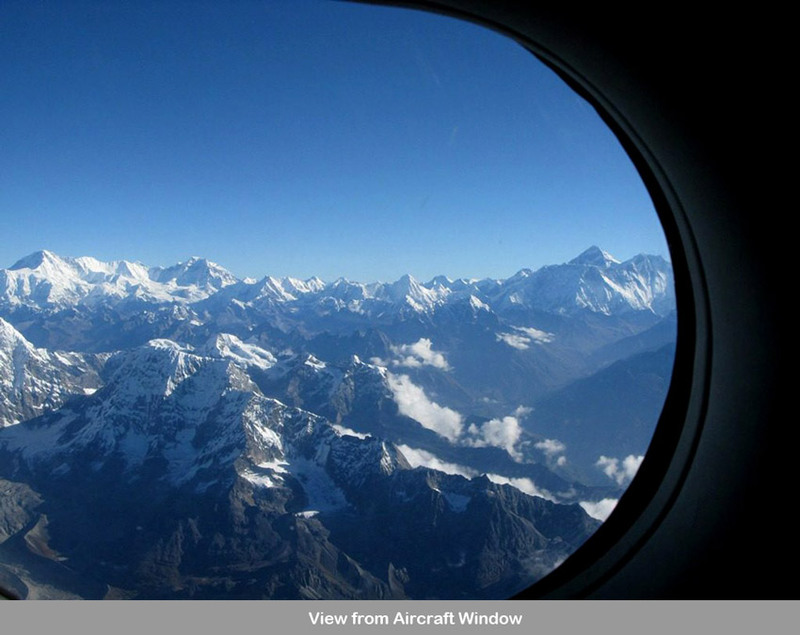 One hour Mountain flight is another best option to see Mount Everest and other Everest region Himalayan ranges from aircraft’s window. The third and best option of Everest day tour is Helicopter tour. Joining helicopter tour is available to explore Everest and region. Private helicopter day tour is always possible to arrange if your interest is to be landed yourself in Everest Base Camp (5,380 meters) and have memorial breakfast in worlds highest five star hotel with best Everest view point. This tour starts from Kathmandu. 5 or 6 set helicopter is able to carry 4 or 5 peoples together. How many peoples will fit in single flight is depends on total kilogram of participant. 07:00 – Start flight with chartered helicopter towards Everest region. Flight to Lukla takes 1 hours. Land there for fuel. Fly to Everest Himalayan range. Fly over Mount Everest, Mt Lhotse, Mt Nuptse, Mt Makalu, Amadablam, Chp-Oyu, Pumori and many other mountains peak. Land at Everest Base Camp (5,380 meters), landing there is really depend on weather. Explore EBC and nearby. Flight than land at Everest View Hotel Shyangboche. It is one of the best place to view Mount Everest and other Himalayan peaks. Breakfast at highest 5 star hotel. Fly back to Kathmandu view route of Gokyo, Namche and Lukla. 06:30 AM: Start flying to Khumbu region. Kathmandu, Lukla, Namche, Thame, Gokyo valley, Everest Base Camp, Everest View hotel and back06:30 AM: Start flying to Khumbu region. Land at Lukla airport for fueling. Than fly towards, Namche, Gokyo Lake and Everest Base Camp. Explore near view of Mount Everest and other snowcapped peak from very near. Flight than fly towards Everest View Hotel near shyangboche. Mountains and glacier are panoramic from here. Take your breakfast at five star hotel at highest altitude. Return journey to Kathmandu. Fly at 22,000 fit altitudes with small aircraft. 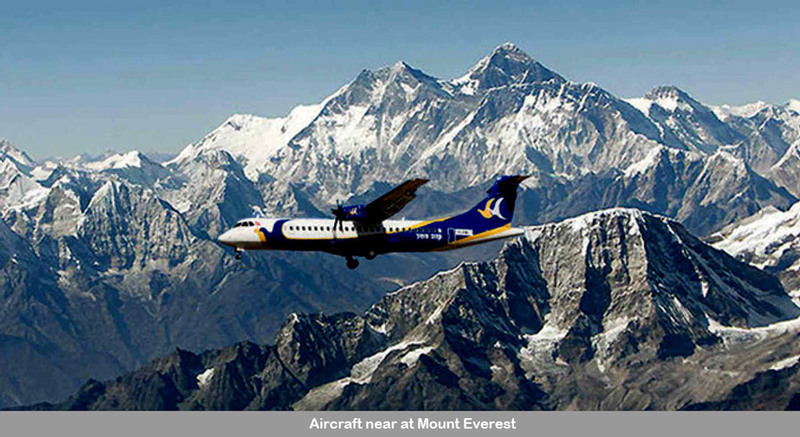 1 hours Everest/ Mountain flight is guarantee to view Mount Everest and hundreds of other mountain peaks of Nepal and Tibet. We can provide you your ticket by mail so that you can reach to airport directly in your flight date. We accept payment by our online credit card. Payment also can made once you arrive in Kathmandu. The ost of the ticket does not including transporation to and from doestic Airport. 05:30: Drive from your hotel to Domestic Airport. It takes 15 minutes to reach from Thamel at morning (less trafic) - transporation is extra from the ticket cost. Note: This is the schedule for first flight. Schedule change for Second, third or fourth flight. Drive early in the morning from Kathmandu. Explore sunrise and Everest view from Nagarkot. Breakfast and drive back to KathmanduEarly in the morning about 04:30, start driving to Nagarkot from Kathmandu. It is 32 kilometer driving takes about one hour. Reach at View point of Nagarkot consider as best view point of sunrise and Mountains. Sunrise period is from 5:45 to 06:30 depend on which month. We spend about one hour time here to view Mount Everest region, Manaslu range, Annapurna range, Ganesh Himal range, Langtang rang, Jugal himal range and Rolwalling range. The place is not only view poing of Mountain but also good view point of Bhaktapur valley of settlement and cultivated land as well as beautiful Sivapuri national park. Take breakfast in one of the restaurant and drive back to Kathmandu with same car. During Mount Everest flight. It is regular flight from Kathmadnu airport at every morning. Window seat for every passanger is confirm. If there will not be able to see Mt Everest and Himalayas, or flight does not happen you will get full refund of your ticket. Send us email to inquire best customize itinerary and plan as per your time frame and interest. There can be various trip plan for Everest tour or Trekking. Everest Day tour, Everest trekking short days to reach best view point or long days trek to reach Everest base camp, beautiful Gokyo Lake or customizing it with world’s famous highest passes of Everest region. You also can include your plan to climb mountain peaks of this region.